General TV Channel / Televisão Independente is Portugal's fourth terrestrial television channel, launched in 1993. It has been leading audience ratings since 2005. It competes directly with SIC and RTP1. 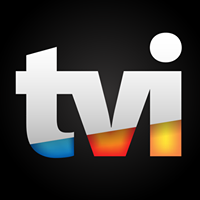 TVI was the second private Portuguese TV channel to be launched, SIC having been launched five months before, and the fourth channel in all. Already under the name TVI, but marketed as 4, in which the '4' was the sole element in its logo, TVI was initially owned by some prominent Catholic Church institutions, including Rádio Renascença, RFM, Universidade Católica Portuguesa, Editorial Verbo and União das Misericórdias; Antena 3 Televisión (which consisted of La Vanguardia, ABC-Prensa Española, Manuel Martín Ferrand (4,3%), Rafael and Manuel Jiménez de Parga, Europa Press and Grupo Zeta), Compagnie Luxembourgeoise de Radiodiffusion, (CLR, under Compagnie Luxembourgeoise de Télédiffusion, now RTL Group), Sonae, SBS Broadcasting Group, ITV contractor Yorkshire Television and many other media enterprises were minor stakeholders of TVI. This majority-Catholic ownership pushed TVI's programming in the direction of Christian values. In the first years of its existence, TVI assumed the role of an 'alternative' television broadcaster, dedicating segments of its airtime to distinct target audiences, with part of the morning dedicated to housewives and the elderly and part of the afternoon to the young. Broadcasts were initially experimental, before upgrading to regular status in October the same year.